Election 2017 Policy Brief: What Problems and Potential Will Result from NYC’s Aging? 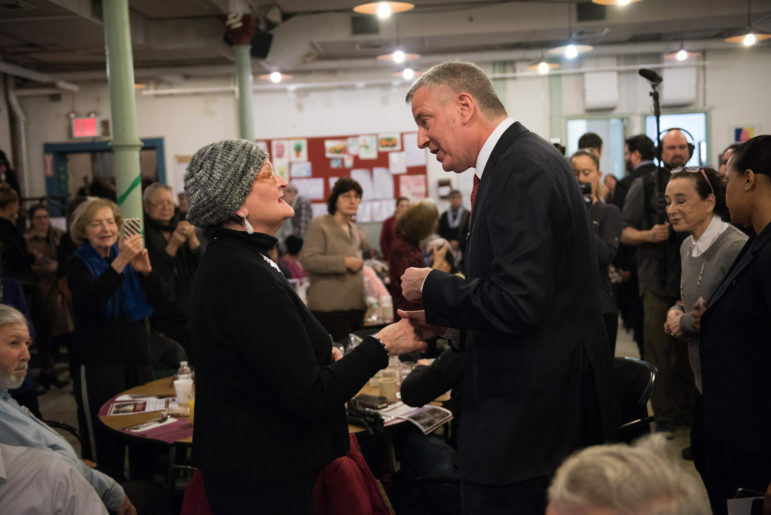 Mayor de Blasio visits a senior center. A child born in New York City in 2015 had a life expectancy of 81.2 years. That’s 36 years more than it was for someone born in 1910, about a century earlier. This dramatic change has many implications. One is that a 2015 baby who stays in New York City until age 81 will live through 19 mayoral elections after this one. In this year’s campaign, a more significant impact of rising life expectancy—namely, that New York City is getting older, and fast—has received relatively little attention. Perhaps in the final debate on November 1 we’ll learn whether the leading candidates feel the city is adequately preparing for what it will mean when one in six people is a over 65. The Department of City Planning has projected that between 2010 and 2040 the city’s population will increase by 9.5 percent. If you break New York into age groups of five years each (people 4 and under, kids aged 5 through 9, people aged 20-24 and so on) just about every group is expected to grow slower than that average pace. For instance, the number of people aged 15 to 19 is expected to increase only 1.3 percent over that three decade period. In the upper age range, however, a boom is predicted. The number of people aged 65-69 in year 2040 is expected to be 24 percent higher than it was in 2010. For 70-to-74-year-olds, a 40 percent rise is forecast. There’ll be a 61 percent jump in people 75 to 79. Overall, folks 65 or older will increase 41 percent, and will go from 12.2 percent of the population to a 15.6 percent share. Across boroughs and genders, the upper ages are the only part of the city’s population that is expected to see what the planning department calls “high growth.” The bulk of that forecast growth in the senior population—about 46 percent of it—is predicted to come in the 2020-2030 decade. Now, that’s just a forecast. City Planning’s population forecasts combine three sets of predictions pertaining to births, deaths and migration. The first two are easier to predict, but the last is more volatile, on account of the number of factors that can affect whether the group of people moving to the city outnumber those who move out. Over the 1990-2010 period, for instance, every borough saw a net out-migration of people aged 55 to 89. But while the real numbers will be different from the prediction, there’s little doubt that New York is getting older. The fact that New York City’s future will be grayer doesn’t mean the city will look like a massive “old-age home”. People are living longer, but many are working longer (according to a March report by the city comptroller, the senior workforce jumped 62 percent between 2005 and 2015, during which time the senior share of the labor force rose from 13 percent to 17 percent) and staying physically active and healthy longer, too. Still, there will be significant impacts and challenges. What will it mean to younger workers when more older people remain in the workforce? As people survive deeper into life, chronic illnesses and cognitive issues like Alzheimer’s disease will require more from the health-care system. From housing to public safety, transit to the disaster response, there will be new needs. There will also be new opportunities, like multi-generational mentoring programs. While the change will be seen across the city, some neighborhoods will feel the effects more directly than others. According to that comptroller’s report, right now, Queens Community District 7 (Flushing, Murray Hill & Whitestone) has the most seniors of any district, 46,000, followed by Manhattan Community District 8 (Upper East Side: 43,000) and Manhattan Community District 7 (Upper West Side & West Side: 37,000). The city’s Department for the Aging (DFTA) has seen its budget and headcount increase substantially under Mayor de Blasio, from $262 million and 660 workers in fiscal 2014 to $342 million and 725 employees in the fiscal year that ended in July. 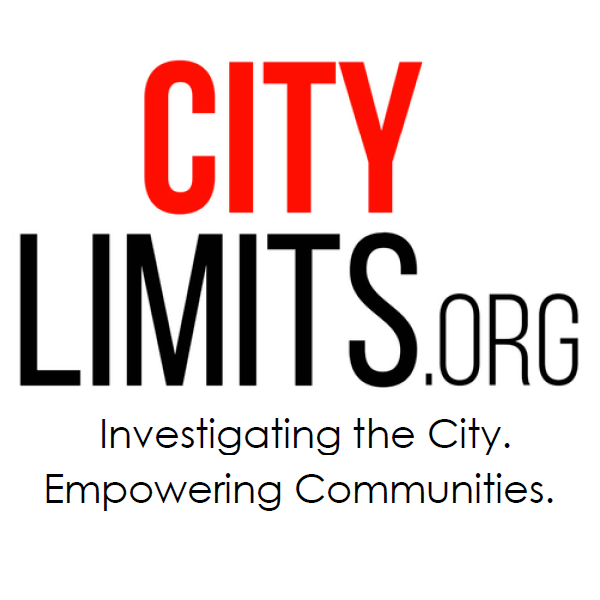 Earlier this year the de Blasio administration released its update on AgeFriendlyNYC, a commission focused on seniors’ needs that was started under the Bloomberg administration but expanded by the current mayor. De Blasio’s aging policy has focused on supporting caregivers and addressing the waiting list for home care. Oddly, the utilization rate for senior centers has trended down during de Blasio’s time, from 86 percent in 2014 to 81 percent in 2017. Housing is one area where de Blasio is under pressure to do more for seniors. While his Housing New York plan now pledges not 10,000 as initially proposed but 15,000 units of senior housing(4,627 of which had been started by July), East Brooklyn Congregations and Metro Industrial Areas Foundation are pushing for a much larger effort to create new senior housing on NYCHA developments. De Blasio has proposed a separate senior residents housing assistance program funded by a mansion tax. During the holiday season, many readers may be visiting senior family members or friends—and that’s a good time to check on their well-being.